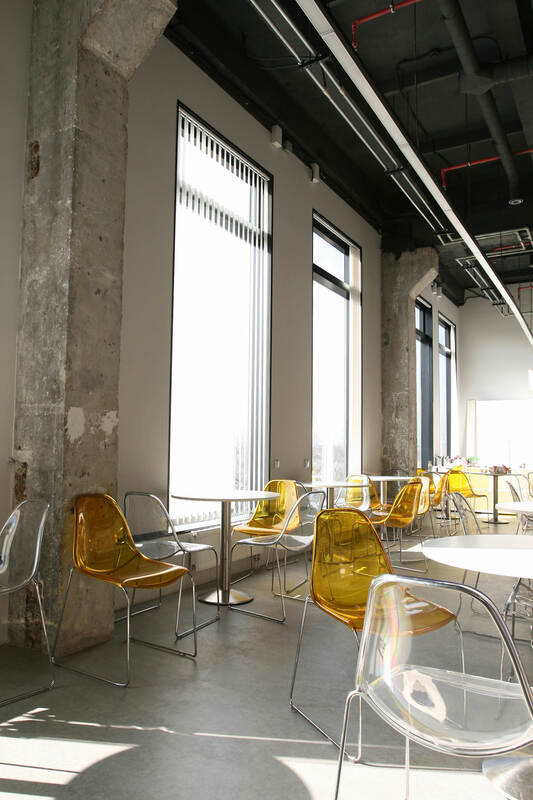 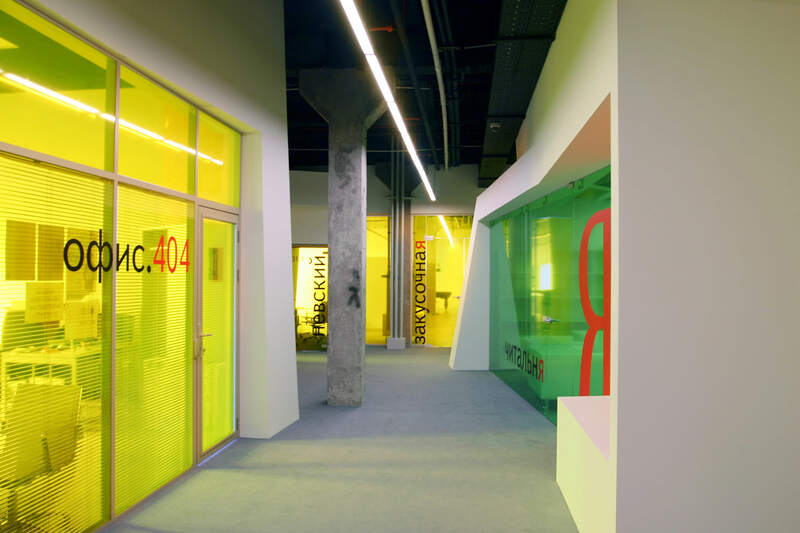 The Yandex Saint Petersburg office is located in Benois business center and occupies the fourth floor of the reconstructed 1970s building with the original columns and work frames preserved. 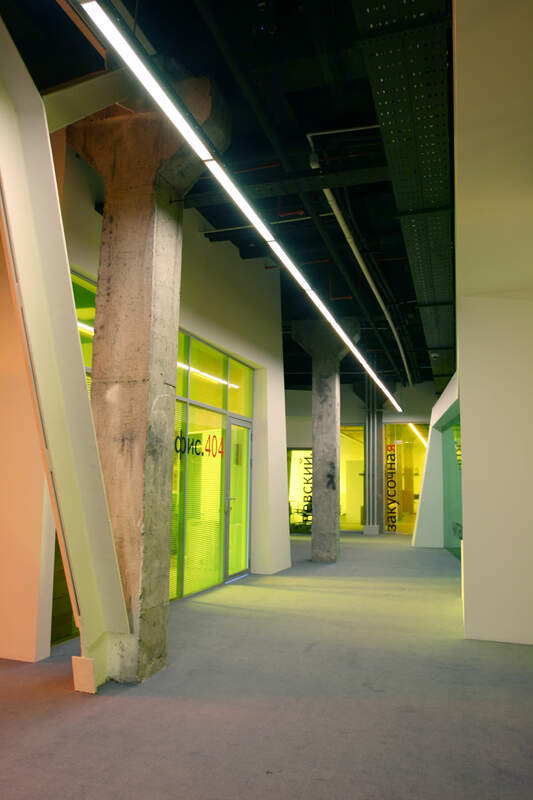 The untreated concrete was lacquered, and the service communications were taken up the ceIling, which was painted in black to make it feel visually taller. 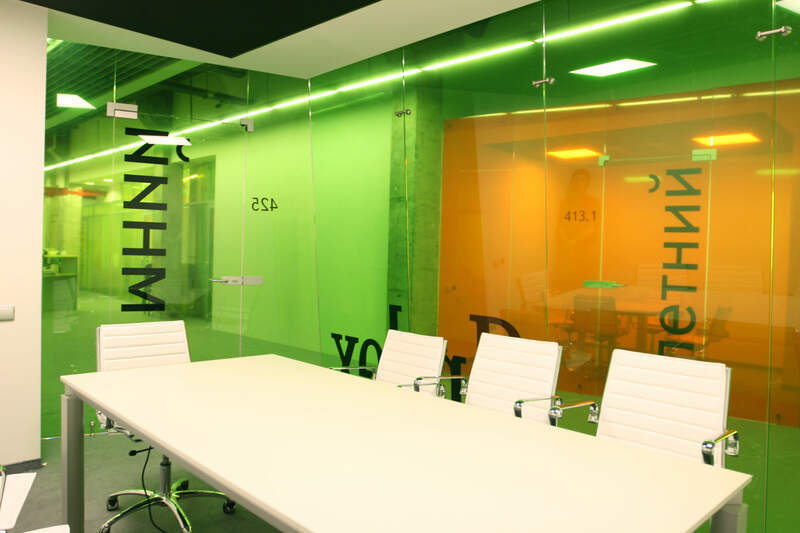 Translucent green, yellow and orange coatings have been used to add bright colors to the otherwise gray and white interior, as well as grey weather of Saint Petersburg. 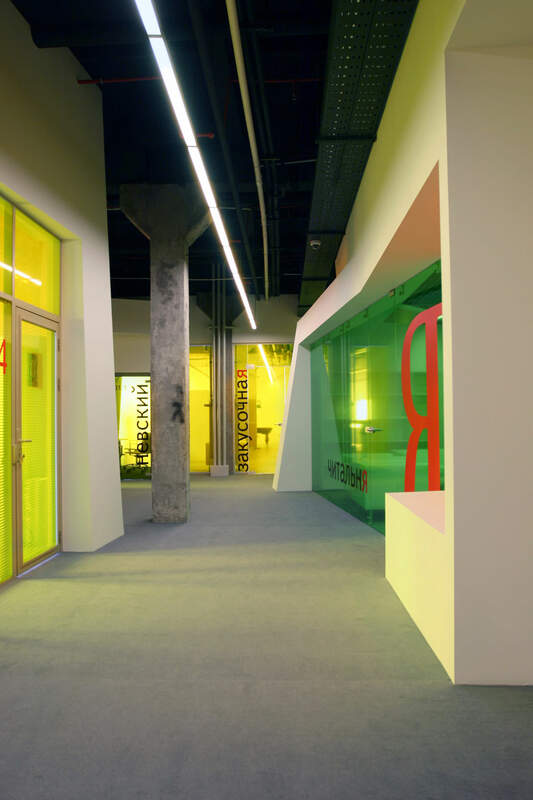 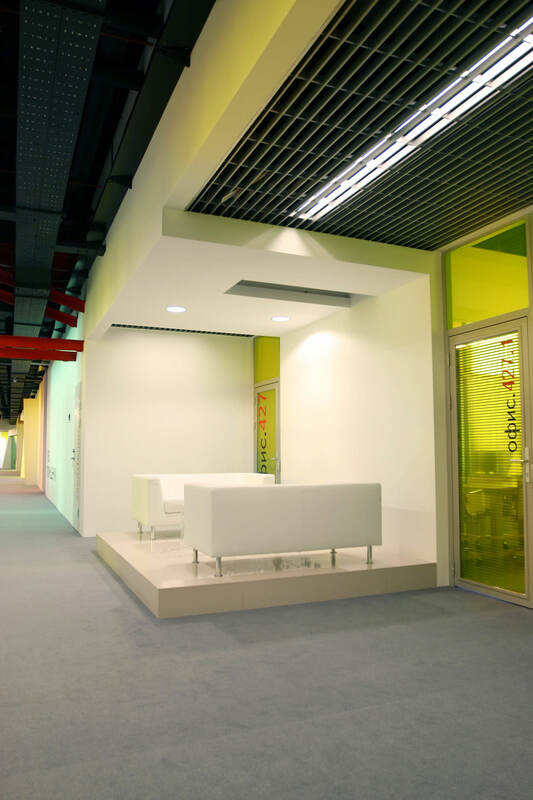 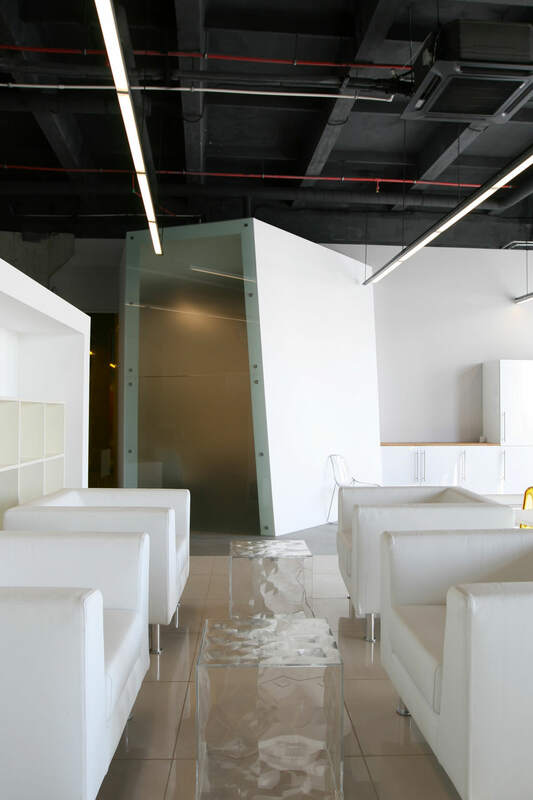 As long as the office received a corridor system, multi-colored cells help the employees and guest to orientate themselves throughout the office.